When you visit Holt Eye Clinic, expect outstanding service from a team that’s dedicated to your eye health and vision quality. Our optometrists in Hot Springs are available to provide preventative care, diagnostic services, and ongoing support for your vision and eye health. Contact our team to discuss each one of your needs. Your ophthalmologists in Hot Springs (Drs. Jeffrey Holt and Thomas Moseley) are always available to meet with you. We provide a wide range of services in our offices to ensure you always have access to the care you need. 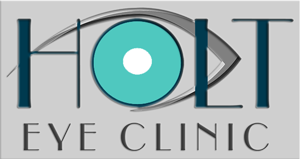 Holt Eye Clinic’s team includes Dr. Graham Holt and Dr. Jeff Holt, both of which own and operate the clinic. Dr. Graham has been practicing at the clinic since 1997 when it was then called Wallace Eye Clinic. When Dr. Tom Wallace retired from practice, Dr. Graham Holt and his son, Dr. Jeff Holt, took over the practice. In addition, Dr. Thomas Moseley and Dr. Cynthia Carnie are members of our group. Dr. Moseley has a special interest in eye muscle surgery for children who have strabismus. He provides eye care to all ages but focuses on pediatric eye care. Dr. Cynthia Carnie provides specialized care for dry eye disease. Holt Eye Clinic now includes the former Braun Eye Clinic at 205 McAuley Court which is conveniently located right next door to their original 211 McAuley facility. Drs. Graham and Jeff Holt, owners, are committed to continuing their mission to provide quality, comprehensive eye care in a convenient and courteous manner to their patients. There’s no better time than today to call your Hot Springs optometrist to schedule a consultation and eye exam. We’re here to meet each one of your needs with care and compassion. Below are some of the services we offer. We recommend scheduling a consultation and your first eye exam with an optometrist and, if necessary, your Hot Springs ophthalmologist can offer more in-depth care as needed. Diabetic Eye Disease - If you suffer from diabetes, you need to see our team for routine screenings. One of our optometrists will monitor your eye health and work with your doctor to manage your diabetic eye disease. Glaucoma Treatment - Glaucoma is very common, but it is also a leading cause of blindness. We can work to minimize this risk by monitoring your eye health long term. If glaucoma treatment is necessary, we offer the most advanced care to slow the progression of this condition. Dry Eye Management - For those who need it, dry eye management can be life-changing. We offer the most advanced care in treating your dry eyes using minimally invasive solutions. Cataracts Surgery - For those who develop cataracts or a thin, milky film over the eyes, cataracts surgery can help to restore improved vision. Low Vision Aids - Individuals suffering from a drop in vision don’t have to stop living. With the low vision aids we offer, it is possible to see well than you thought possible. Contact Lenses and Glasses - You can obtain the prescription as well as the contact lenses and glasses you need from our offices. Eye Exams - Annual eye exams are a must for all people. They protect your vision and ensure your eyes remain as healthy as possible. Whether you need to visit our ophthalmology office for a diabetic optometrist in Hot Springs or you need a routine eye exam, we’re here for you. Contact Holt Eye Clinic for an appointment at one of our two locations today at 501-624-0609 or 501-624-6330. I sincerely want to thank you both, Dr. Holt and Dr. jeff, for taking such good care on my eyes! You both went above and beyond from diagnosis to referral and recovery! Hot Springs is very blessed to have both of you! I started wearing glasses in 4th grade. It is so great to be able to see clearly! I can see things that I've never seen before! It takes great hands to do great surgery and Dr. Jeff has them! I just can't express how happy I am! It has been great to see so clearly! I tell all my customers how pleased I am with my surgery. I'm ready to drive the Indianapolis 500! It is so beautiful to see! Dr. Jeff is just great and the staff is fantastic! It's like coming in and talking with family and friends!